Before starting the process of converting a towel rail to electric or dual fuel, it is best to explain some simple concepts. is where the bottom 2 inlets of the towel rail are connected to a central heating circuit with hot water coming in one end and colder water coming out the other. The hot water feed from a central heating source like a boiler; these are plumbed into a circuit similar to the standard panel radiators and simply work by releasing heat from the hot water passing through their bars. 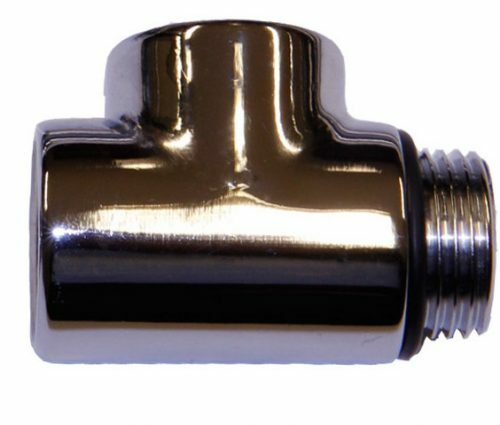 The top threaded inlets are fitted during installation with a blanking plug and a plug which contains a valve to release trapped air once the circuit is running. The heat can only be regulated by controlling the amount and speed of the hot water flowing through with manual valves or a TRV. This is the most economical way of achieving heat. of a towel rail is where the internal liquid is confined to the towel rail itself and sealed inside, the water is then heated by an electrical element which works similar to a kettle albeit much less powerful. Electric towel rails heat up gradually as too much power (like a kettle) would mean for the towel rail to become too hot to touch and dangerous for the people around it. The cost of running a towel warmer depends on the actual power of it but in general terms, it’s the equivalent of a few light bulbs ie. 150W towel rail = 3 x 50W light bulbs. has a combination of both instances described above, a dual fuel supply can be achieved by a simple fitting which is called a T-piece. The T-piece split allows for the hot water intake feed from a central heating circuit whilst having an electrical element installed. 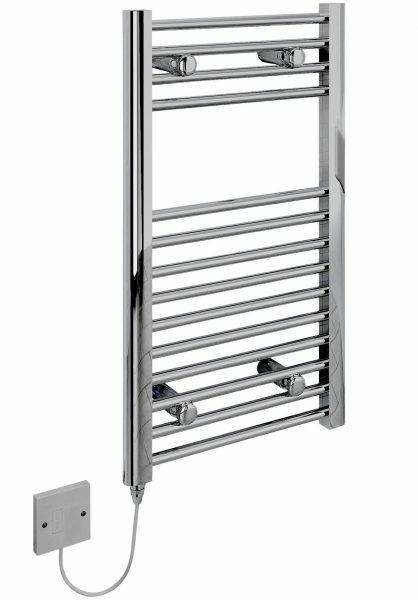 It is ideal for use during the summer months as it is a more economical and convenient alternative to having to turn on the entire central heating system to use the towel warmer. Now that you understand the different installation alternatives, we can dig deeper into converting your central heating towel rail into dual fuel or electric only. 1. Unscrew and discard the T piece from the element (if included). Wrap a few layers of PTFE tape around the element thread, after this screw and tighten the element into the bottom thread on the side closer to where the element will be wired to. 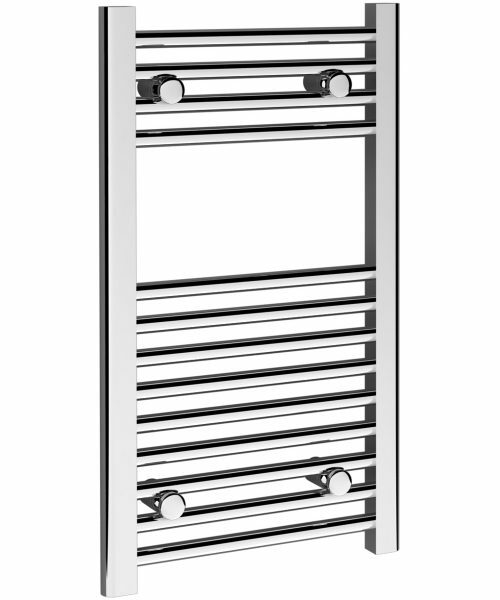 Note that the element kits we supply can only to be fitted vertically from the bottom of the towel rail. 2. Screw and tighten one of the blank plugs and the bleed valve on the two top threads of the towel rail. 3. Based on the percentages given on the instructions of the central heating protector brand, make a mix of water and central heating protector. 4. Turn the towel rail upside down and using a measuring jug start filling the towel rail with the mix made on step 3 noting down the number of litres poured in. 5. When the towel warmer is full, calculate 10% of the total from step 4 and pour this amount of fluid back into the measuring jug. This step is required out to allow room for the water to expand during heating. 6. Screw and tighten the remaining blank plug into the last thread. 7. Your towel warmer has now been converted for electric only use and it is ready to be fixed on the wall and wired. 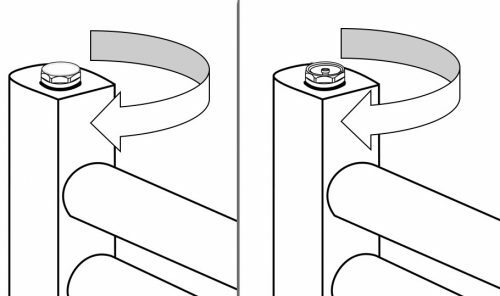 Fixing is to be made according to the manufacturer’s instructions for wiring please refer to our section on wiring an electrical towel rail. 2. Screw the T-piece onto the element and tighten it. 3. Screw the assembled element and T-piece into the towel warmer and tighten it, make sure that the T-piece outlet is positioned correctly, pointing the side where the central heating pipe and valve will be connected. 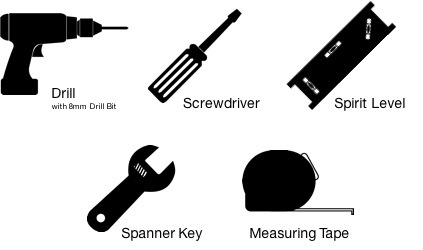 Note that the element kits we supply can only to be fitted vertically from the bottom of the towel rail. 4. Screw and tighten the blank plug and the bleed valve on the two top threads of the towel rail. 5. Fix the towel warmer onto the wall following the manufacturer’s instructions. Fit the radiator valves and connect the central heating pipes. 6. Open the radiator air bleed valve and purge any air that may be trapped. 7. Your towel warmer has now been converted for dual fuel and it is ready to be wired. For wiring please refer to our section on wiring an electrical towel rail.